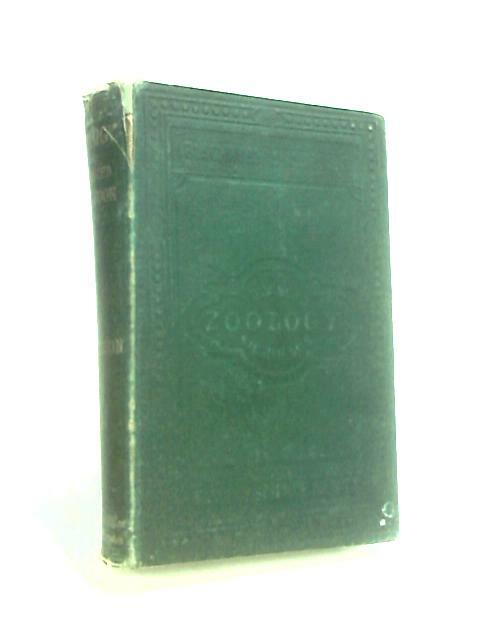 Advanced Text-Book of Zoology for the Use of Schools by Nicholson, H. Alleyne. 1873. Second Edition. 378 pages. No dust jacket. Green cloth with gilt lettering. Hinge cracked with noticeable foxing, tanning and handling marks. Inscription of previous owners name at front endpaper with dog-eared corners. Pen and pencil marking at front pages with B&W illustrations. Noticeable rubbing and scuffing along spine with splitting along edges. Noticeable bumping, rubbing and scuffing to spine ends and to corners with noticeable rubbing, scuffing and wear along edges and over surfaces.